Charlie Whitfield was born and raised in Edinburgh, Scotland. At the age of two, his granny bought him a raffle ticket and he proceeded to win first prize; two cases of The Macallan 10 Years Old, thus starting his lifelong fascination with Scotch whisky! After six years working in the Duty Free Industry based in London after university, Charlie moved to the USA. It was in New York that he realized his lifelong passion with whisky and started working for The Macallan Single Malt Scotch Whisky. 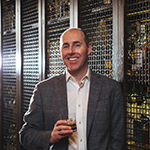 After starting as the national brand ambassador, Charlie now manages The Macallan brand education and prestige whiskies throughout the Americas, and has been with the company for six years. 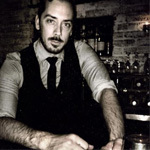 Suntory Whisky Ambassador, Johnnie Mundell is known to trade whisky for words, whether working with the bartender community or hosting engaging consumer event. Johnnie was born and raised in Ayrshire Scotland, with a long family history in whisky and farming. Since 1971, the Mundell family have been transporting scotch from Islay through the Kennacraig Ferry terminal, a property his family used to own where they would picnic during summer. He currently resides in Hermosa Beach, CA with his wife and three daughters. 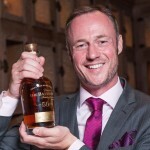 Johnnie has 10 years ambassadorial experience representing brands including Auchentoshan, Bowmore and Glen Garioch and in spring 2015 he assumed the role of Suntory Japanese Whisky ambassador where he specializes in brand education on the house of Suntory Whiskies; Yamazaki, Hakushu, Hibiki and Toki. 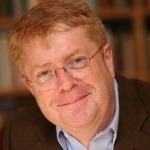 Johnnie has become renowned for creating connections between attendees at his events as he employs unique methods to bring each geographical and historical context to life. Johnnie’s mission is to effectively create and build communities of fans for Suntory whisky in everything he does. Based in San Francisco, Jessamine’s nine-plus years of experience have taken her through some of the Bay Area’s best restaurants and bars. She launched the cocktail program at Manresa, served as Hakkasan’s San Francisco bar manager and was most recently the Absolut Vodka Brand Ambassador in Northern California, where she consulted on Absolut programs and created new, original cocktails. With a passion for flavor and innovation, Jessamine currently serves as the National Brand Ambassador for the Powers & Single Pot Still Irish Whiskey portfolio at Pernod Ricard. Her role as National Brand Ambassador is to educate and showcase this unique portfolio of Irish Whiskeys including Redbreast, the Spot Whiskeys (Green Spot and Yellow Spot), Powers, and Midleton throughout the US. No stranger to the spirits industry, she’s an award-winning bartender and also knows her way around a wine list. Jessamine has a level two certification from The Court of Master Sommeliers and previously worked as Wine Director at Chez TJ in Mountain View. She’s also an active member of numerous industry groups. She graduated from BarSmarts, made it to the top eight in San Francisco’s Speedrack competition, is a proud participant in LUPEC and is the co-founder of LOH (Ladies of Hospitality). 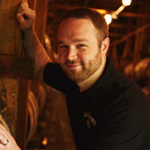 Chris Fletcher is the assistant master distiller at the Jack Daniel Distillery and a native of Lynchburg, Tennessee. Fletcher’s role as assistant master distiller allows him to utilize his sensory skills and extensive knowledge of the whiskey making process while providing support for Master Distiller Jeff Arnett. He also looks forward to playing a key role in any potential new offerings that the distillery may consider in the future. After earning a degree in chemistry, Fletcher joined the Jack Daniel Distillery first as a tour guide in 2001 and then gained a complete knowledge of production at Jack Daniel’s including milling, mashing, fermenting, distillation, mellowing and maturation, all passed down first-hand by his grandfather, retired Master Distiller Frank “Frog” Bobo, and other Jack Daniel’s employees with decades of experience. After his stint in Lynchburg, Fletcher worked for Brown-Forman Corporation in Louisville, Kentucky on Jack Daniel’s quality control. In this role, Fletcher touched everything that had to do with the whiskey-making process, from the still to the barrel. Following two years of gaining valuable experience working for distilleries across North America, Fletcher returned to the Jack Daniel Distillery in 2014. As the grandson of Bobo, the distillery’s fifth master distiller from 1966-89, making Jack Daniel’s Tennessee sipping whiskey comes naturally to Fletcher. He recalls visiting his grandfather at the distillery, following closely at his heels and hearing stories about those who came before them. Fletcher’s first memory of the distillery is watching his grandfather make sour mash and operating the stills. Today, he feels very fortunate to have two outstanding mentors – his grandfather and the seventh master distiller, Arnett. Greg West grew up in a small beach town at the very southwest tip of California named Imperial Beach, the last beach city before Mexico. Greg had a very humble upbringing as was one of four kids. His summers were usually comprised of exploring the beaches and marshlands around his home and working with his father in his landscaping business. At the age of nineteen, he decided to go into the field of carpentry and found much satisfaction in that. It was only a handful of years later he became the youngest foreman in his company. At twenty-two, he covered a shift as a doorman at a bar called The Surf & Saddle. Shortly after he would begin his bartending career. Unbeknownst to him, it would be the greatest roller coaster ride of all time. In 2008, he moved to Seattle, Wa. and was introduced to the world of craft cocktails. He loved watching the hand work, like poetry, as they carefully created their cocktails. After the experience, his whole drive and determination changed and Greg did whatever he could to learn technique, style, recipes and product knowledge. In 2013, Greg moved to the big/little city of San Francisco to try to learn from the best. He landed his dream job at the esteemed Bourbon & Branch. After six months of bartending at Bourbon & Branch, he is asked to be the Bar Manager and five months after that he became the General Manager and held that position for two years. Steph is a long-time veteran of the hospitality industry with a passion for spirits, whisky in particular. 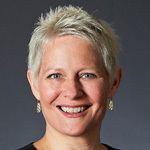 Her role with the group is Manager of Brand Education – North America. She will be responsible for providing education in key markets and across all channels to raise awareness and encourage trial of the International Beverage Group’s core single malt and gin brands: Speyburn, Old Pultney, Balblair, anCnoc and Caorunn. 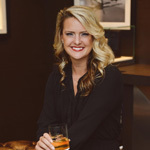 Prior to joining International Beverage Group, Steph spent seven years with Remy Cointreau USA/Edrington Americas as the Brand Manager, National Brand Ambassador for Highland Park Single Malt. During her tenure there, she was able to sharpen her expertise in the spirits arena through rigorous education programs at their various distilleries throughout Scotland and the Dominican Republic. Her learnings throughout the years have allowed her to hone her palate, intensify her knowledge and gain insight into one of Scotland’s greatest gifts to the world: Scotch whisky. Steph attended Penn State University and graduated first in her class at the Pennsylvania Institute of Culinary Arts. She hails from Pittsburgh, PA and currently resides in New York, NY. Robin Coupar, a native of Edinburgh, Scotland, is a leading Scotch and American whisk(e)y expert who has dedicated more than 22 years to the industry. Robin is the Global Brand Ambassador for Gruppo Campari’s whisk(e)y portfolio that includes Glen Grant Single Malt Scotch Whisky, Wild Turkey Kentucky Straight Bourbon and Rye Whiskey, Russell’s Reserve Bourbon & Rye Whiskey and Forty Creek Canadian Whisky. Robin’s passion and knowledge of whisk(e)y started in Scotland but extended well past the UK borders. His expertise was built through a series of assignments with some of the most renowned players in the world including Diageo and Moet Hennessy where he worked on many famous brands. 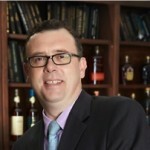 At Campari he has performed several marketing roles in the whisk(e)y category and has focused on innovations and developing new liquid expressions. Robin also leads the sensory evaluation process for Campari whiskies. David joined Gordon & MacPhail in June 2016 as International Sales Director. and rarest single malt Scotch whiskies. certified by the Soil Association. and is a recognised authority and regular speaker at whisky events around the world. Jonathan Driver is the Rare Whisky Director for Whyte & Mackay. In this role he has the responsibility for managing and developing the Company’s Luxury Scotch Whisky offerings primarily the higher marques of Dalmore Single Malt Whisky but also working with the rare expressions of Jura, Fettercairn and Tamnavulin. Driver began his career, with a degree in Japanese History, then working in Japan for an importer of European Art. After two years he returned to the UK to take up a marketing position with Garrard, the Crown Jeweller working on the building of two successful Garrard concessions in top Tokyo department stores, Seibu Saison and Mitsukoshi. He was appointed in 1989, as a Luxury marketing specialist for United Distillers, the spirits arm of Guinness plc (today Diageo plc). Driver was responsible for the global development of the Classic Malts of Scotland, the company’s premium malt portfolio, and then worked on the development, launch and commercialisation of Johnnie Walker Blue Label with United Distillers’ Travel Retail division. At the time of the Diageo merger in 1997, Driver took on the role of Global Malt Whisky Director. He oversaw the turnaround of the £100m Classic Malts portfolio. In addition he developed and launched the annual bottling of Diageo’s Rare and Special Releases. In 2005, as Acquisition Marketing Director for Diageo’s £200m purchase of the Bushmills’ Irish Whiskey brand. He oversaw the marketing integration of the Irish Whiskey business into Diageo’s Whisk(e)y portfolio. Subsequent to Driver’s time in Diageo he created his own Luxury Sales and Marketing consultancy working to develop Super and Ultra-Premium variants for Global Whisky brands across a range of different portfolios and territories. In 2012/13 he helped develop and then represented John Walker & Sons’ Diamond Jubilee, a £100,000 a decanter project designed for Her Majesty the Queen’s Diamond Jubilee and with all profits going to the Queen Elizabeth Scholarship Trust (QEST). With over 40 years of experience under his ‘nose’ it’s no wonder Richard Paterson is regarded as one of the world’s best Master Blenders. He is responsible for Whyte & Mackay’s flagship blended whisky, the rare and exclusive Dalmore whisky collection, the varied flavour profiles seen in the Jura single malt range and he was the man who re-created a piece of history when he brought to life the 100 year old Mackinlay’s ‘Shackleton’ whisky. He also has a unique and one-of-a-kind whisky collection named after him – The Paterson Collection – that he created in partnership with premier retailer Harrods. Being a third generation Master Blender, Richard quickly learned that the complex art of producing the perfect whisky is not one to be taken lightly. He began his career as a general production assistant at A. Giles & Company Whisky Blenders & Brokers where he learned the art of blending before joining Whyte & Mackay, one of Scotland’s leading makers and distributors of Scotch whisky, becoming their Master Blender at just 26 years old. With a truly unique talent for ‘nosing whisky’, one of the main tasks of a Master Blender is often nosing hundreds of samples of whisky over the course of a day, and being able to distinguish each to maintain particular layers of flavour, aroma and depth. It is his skill that earned him the nickname ‘The Nose’ and so valuable is his nose that he has had it insured by Lloyds of London for £1.5 million! When Richard isn’t in his sample room creating whiskies he is often out travelling the globe extensively as not just an ambassador for Whyte & Mackay but for the Scottish whisky industry as a whole. His entertaining presenting style coupled with his passion and knowledge for whisky has earned him a legion of fans across the world. He has been awarded The Spirit of Scotland Trophy at the International Wine & Spirit Competition, named Whisky Magazine Whisky Ambassador of the Year and has even had a series of Manga comic strips created in his honour! 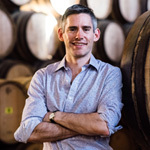 When he isn’t receiving plaudits for his work, Richard likes to spend his time getting other’s involved in his passion as he is a Diploma Lecturer for Scotch Whisky for the Wine & Spirit Education Trust in London. He also works extensively with the Benevolent Trust in Scotland, to raise money for those who have previously worked in the drinks industry and have fallen on harder times. In 2008 he added author to his list of achievements when he published his very own book, Goodness Nose. 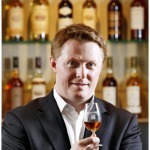 He writes a regular column in Sweden’s leading whisky magazine, Whisky & Bourbon. He has also contributed to the Huffington Post, The FT How to Spend It and Whisky Magazine, as well as bringing his inimitable presenting style to life on programmes such as CNBC (US), Style TV (Russia) and STV (UK) to name but a few. Richard is also a keen tweeter and regularly discusses his love of whisky through his social media channels. Master Blender at Chivas Brothers. With over thirty five years in the business, Colin is following a family tradtion of dedicating his life to Scotch whisky. Colin knows the characteristics of each and every whisky in the Chivas Brothers’ extensive, aged inventory and is the Global Ambassador of Royal Salute. 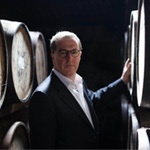 Dr Nicholas Morgan is Head of Whisky Outreach at Diageo plc, the largest Scotch whisky producer, where he has worked for almost twenty-five years. His previous role as Scotch Heritage Director was to champion the deep-rooted heritage of the company and its brands. Prior to that, he directed Diageo’s global malt whisky marketing team. Leading key innovations such as the development of the Talisker&trade; range, Singleton of Glen Ord, and the introduction of the Special Releases programme. Master Brand Ambassador David Blackmore leads the Glenmorangie USA educational program, exciting and educating the industry and consumers on the nuances of Glenmorangie Single Malt Scotch Whisky through tastings and events across the U.S.
A native of Scotland, David is an experienced professional whisky tutor with a background at the Scotch Malt Whisky Society in Scotland and London. With a sophisticated nose, David led The Society’s prestigious “Tasting Panel” in selecting casks for bottling. He has recently been inducted into the Keepers of the Quaich society in Scotland as well. A Glenmorangie U.S. Brand Ambassador since 2005, David was recently named the “2014 Scotch Whisky Ambassador of the Year” by Whisky Magazine for the third consecutive year as well as the “2014 Brand Ambassador of the Year” by the International Whisky Competition. 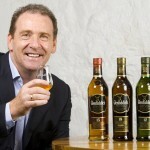 Iain McCallum was appointed Master Ambassador Scotch Whisky in January 2015. This role within the North American Beamsuntory team will see Iain developing educational programming for the Whisk(e)y brands portfolio through engaging consumer and trade education, tastings, masterclasses and experiential events. After qualifying as an organic chemist at 22, his roles included four years as trainee distilleries manager at Auchentoshan, Bowmore and Glen Garioch. Iain, whose nose was put to the test early on by industry guru Dr Jim Swan of Pentlands Scotch Whisky Research, scoring highly for smell and taste, was later appointed group senior blender for Morrison Bowmore then, in addition, distillery manager at Auchentoshan. 2013 Whisky Icons – Whisky Ambassador of the Year. As International Brand Ambassador for The Glenlivet, Ian is in the fortunate position of working with some of the worlds finest single malts every day. 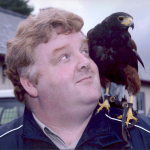 It is now 25 years since he sold his first case of whisky and in that time Ian has worked in sales and marketing before becoming a brand Ambassador 10 years ago. He has even been known to make a little whisky using The Glenlivet Sma Still. Kirsten Grant Meikle is the great-great-granddaughter of our founder William Grant, and the fifth pioneering generation of the family to run our business since 1887. 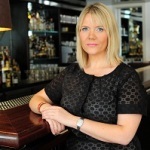 She is currently Director of Prestige at William Grant & Sons UK. Born in Edinburgh in 1975, she knew early on that her future lay in the drinks industry. After studying Business at Napier University, and travelling the world for 14 months (and doing the odd stint of bar work to pay her way), she entered the on-trade in the UK. While spending two years as Bar Manager of Ecco Vino, an Edinburgh bar famous for its wine selection, she fell under the spell of fine wine. It led her to Matthew Clark, a renowned UK drinks distributer, where her passion for the business, sheer dynamism and inexhaustible work ethic saw her go from Account Manager to Wine Controller in seven years. George is the 6th generation of the Grant family to act as custodians for the Glenfarclas Distillery. 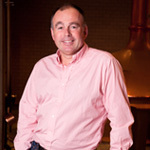 George joined the family business in 2000 after working for Inverhouse Distillers Ltd, and Fine Vintages (Far East) Ltd, Glenfarclas’ distributor in Hong Kong. George particularly enjoys introducing whisky lovers to the older expressions of Glenfarclas, those distilled by his grandfather and watched over by his father. George is a third Generation Keeper of the Quaich and a Freeman of the City of London, a member of “The Worshipful Company of Distillers”. 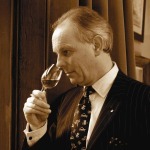 Born in Pitlochry in Perthshire in the Highlands of Scotland in 1953, Ian Millar joined independent family distillers William Grant & Sons Ltd in 1998 as Distilleries Manager for the company’s flagship Glenfiddich and Balvenie Single Malt Scotch Whisky distilleries. Ian is celebrated 40 years in the whisky industry in February 2014, having worked for a number of distillers in various technical and production roles, including mashing, distillation, warehousing and production management. 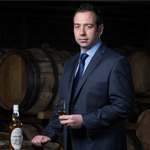 He was previously Distillery Manager at the Bladnoch, Mortlach, Blair Athol, Dalwhinnie, Linkwood and Glen Elgin Distilleries before joining William Grant & Sons as General Manager of Glenfiddich, Balvenie and Kininvie Distilleries. Kieron Elliott started his bar and spirits career 22 years ago as a bartender in his college town of Paisley, Scotland and quickly established himself as a passionate single malt enthusiast and advocate. He moved to London in 1998 and started managing bars and coordinating events for big liquor companies including Bombay Sapphire and Jack Daniels while also pursuing a performing career, landing hosting slots on ITV’s long running travel show “Wish You Were Here?” and the BBC’s science and technology show “Tomorrow’s World” as well as played a long running character in the BBC1 drama, “River City” and hosted the weekend morning show on Scotland’s #1 radio station, Real Radio, for 4 years. He then helped launch the UK’s first Classic Rock Station on FM, Rock Radio, and hosted the morning show for a year. In 2008 he made the move to the U.S. and was quickly picked as the William Wallace expert on Spike TV’s Deadliest Warrior. He must have done something right as the producers asked him to host all three seasons of the spin off show: Deadliest Warrior; The Aftermath. In 2010 Kieron was picked from thousands of voices to play Hoark the Haggard in DreamWorks’ “How to Train Your Dragon”. He’ll appear in all three movies and narrates the audiobook app. Never far away from the spirits trade, Kieron worked as a special events mixologist for British Bartenders in LA where he naturally gravitated towards the scotches, working for Dewars and Chivas among others but it is was a chance meeting with Highland Park Brand Ambassador, Martin Daraz at one of Kieron’s stand up gigs that lead him to joining Edrington part time as an associate Brand Ambassador. Six months later, in August 2013, Kieron stepped up to become The National Brand Ambassador for The Macallan, where he currently and happily resides. 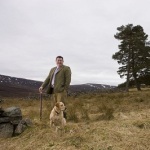 Richard Urquhart is a member of the fourth generation of the Urquhart family, owners of Gordon & MacPhail. Established in 1895 and based in Elgin in the north of Scotland the company is famous for selecting, maturing and bottling some of the world’s finest and rarest single malt Scotch whiskies. Gordon & MacPhail sends casks to distilleries throughout Scotland where they are filled with “new-make” spirit and left to mature for many years at the distillery or in bonded warehouses in Elgin. Gordon & MacPhail bottles over 300 expressions of single malt under various ranges including Connoisseurs Choice, MacPhail’s Collection and Cask Strength. In 2015 the company launched the world’s most exclusive single malt, Generations Mortlach 75 Years Old by Gordon & MacPhail, at the Royal Opera House in London. In 2013 HRH The Princess Royal visited Elgin and presented the business with its second Queen’s Award for Enterprise of International Trade. Richard joined Gordon & MacPhail in 2009 after working in Information Technology for six years. 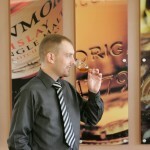 His career at Gordon & MacPhail started by spending two years working through all of departments within the business. Since then, Richard has worked in UK Sales and Marketing before moving to the Export department in November 2013, a department that exports the company’s whiskies to over 50 international markets. Richard became of a Keeper of the Quaich a prestigious society whose purpose is to recognise those that have made an exceptional contribution to the Scotch Whisky Industry in 2015. 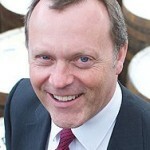 Neil Boyd joined Ian Macleod Distillers in 2010 and is Commercial Director responsible for the Malt Whisky portfolio. Neil also has responsibility for the company’s UK , US and Canadian business and is based in Edinburgh at the company’s headquarters. Before joining Ian Macleod Distillers Neil spent three years as an independent consultant working on a number of Drinks industry related assignments for a wide range of companies including Diageo and start up operations. Between 1998 and 2007 Neil spent nine years with Bacardi firstly as Marketing Director then Global Brand Director. Neil was responsible for the strategic development of the Bacardi Groups Scotch Whisky portfolio including Dewar’s ( No 1 Brand in USA), and William Lawson’s, in all 4.5million cases of Scotch Whisky. 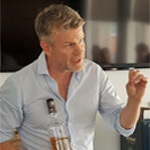 In addition to his time at the family owned Bacardi Group, Neil worked for four years as International Sales and Marketing Manager for the Asia-Pacific region at Glenmorangie plc. These roles and seventeen years of involvement in the highly competitive international drinks industry have combined to give Neil an extensive knowledge and experience of premium brand building in global markets. 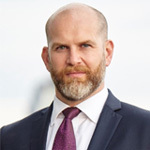 In addition to his career experience Neil also holds an MA from Dundee University and an MBA from Heriot Watt University and has undergone senior management training at the highly acclaimed Darden Business School in West Virginia USA . Neil lives in Edinburgh and is married with 3 teenage children. Hailing originally from Edinburgh, Glenfiddich brand ambassador Mitch Bechard fell in love with the Scotch Whisky industry at a young, albeit legal, age and has been pursuing that passion ever since. Born in Scotland, Mitch was fortunate enough to spend his youth traveling the globe with his family, during which time he developed the kind of wanderlust that would become a central part of his career. Beginning in 1990, he started to take his first steps into the world of food and drink, cutting his teeth in hotel management, as well as running restaurants and cocktail bars in places as far-flung as Portugal, England, Scotland and Australia, as he traveled the globe chasing his passion for the spirits industry. The passion for whisky ultimately won out, when he landed a job as the whisky ambassador in the UK for the Diageo portfolio of whiskies. Able to focus his attentions on his love of Single Malt Scotches, his move took him to the US, to join William Grant & Sons as the Glenfiddich Ambassador; the world’s most awarded Single Malt Scotch whisky. During his 4 years in this position he works within the on- and off-premise to introduce new marques to whisky enthusiasts, and continues to share his love for single malts with consumers, whether they are new to the spirit or loyal Scotch drinkers. In addition to being a self proclaimed whisky geek, Mitch enjoys golf, tennis, snowboarding, paddleboarding and most importantly spending time with his wife and 7 year old daughter. From his highland roots in Scotland’s legendary Campbeltown – an area steeped in whisky tradition – Balvenie Brand Ambassador and renaissance man Lorne Cousin brings a wealth of craftsmanship and skill, and a lifetime’s worth of unexpected experiences, to his role with the most hand crafted Single Malt Scotch. In a career that has seen him representing Scotland’s most beloved cultural products – music and whisky – he has travelled the world, sharing a platform with characters as diverse as royals, distillers, international pop stars and athletes. As a boy, Gregor grew up at distilleries such as Caol Ila, Coleburn, Cragganmore and Cardhu where his father Evan worked as Master Distiller of these quality single malts. This is where Gregor’s apprenticeship truly began. Learning from his father something that he never imagined that would take him all over the world. Gregor has worked for the past 13 years with Master Distillers of the Diageo single malt portfolio, Master Blenders of Old Parr, Johnnie Walker, Buchanans, J&B and many other distillery staff who kindly shared their wealth of knowledge of the business with Gregor when he worked at their distilleries and facilities in Scotland. While working in Scotland as Global Brand Ambassador for Johnnie Walker and the Classic Malts, Gregor developed a deeper passion for the nosing of Scotch Whisky and in 2011 (after 2 years and numerous organoleptic tests) became a qualified whisky nose. 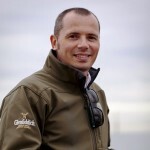 He is now based in the USA working as the USA Master of Whisky and in October 2011 Gregor was inducted into The Keepers of the Quaich, an exclusive Scotch Whisky society that honors individuals for their contribution to the Scotch Whisky Industry. So says our Head Cooper, Ger Buckley, a self-confessed tool obsessive, and a man whose knowledge of wood grows far beyond his professional life. 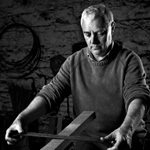 A true craftsman in the purest form of the word, Ger is a fifth generation Midleton Cooper who uses the same methods and tools as his grandfather. His passion stems not only from his family’s lineage, but also from his fascination with the varied attributes his preferred source material allowsThe tools of his trade are an extension of Ger himself; “I collect and interpret tools – I’m interested in the way someone may use a tool differently to myself”, a fact made evident by one of his most treasured possessions, a 90 year old mallet, with a handle worn thin by generations of family use. It was during his formative years as an apprentice, to his own father, that Ger became acquainted with the ancestry of his role, with the methods of coopering undergoing just the slightest of changes since the Roman Empire. Overseeing the supply and maintenance of all the barrels that Jameson is matured in, Ger is responsible for ensuring that the Distillery’s one million oak casks are in peak condition at all times. However, it is his passion for the product and the end of the process that Ger takes most pleasure in. He proudly states that “50% of a whiskey’s taste comes from the wood – so the wood and the distillation process have an equal effect on the taste”. When you have a skill that’s been passed down through five generations of your family, you deserve a tribute that can be enjoyed by the next five. The Cooper’s Croze – part of the Whiskey Makers Series – is an Irish Whiskey that celebrates the craft of our Head Cooper, Ger Buckley. Bénédicte Hardy was born near Cognac, France in Angoulême on March 18, 1957. She is a fifth generation member of the famous Hardy family, producers of Cognac. Her ancestor, Antoine Hardy, originally of English and Scottish descent was a merchant who fall in love with the French Countryside and decided to become a French citizen settling in Cognac in the second part of the 1800’s. After years of working for other Cognac producers, he learned the craft and founded A. Hardy & Company, the first bottle of Hardy Cognac was sold in 1863. Bénédicte herself attended High School in Cognac finishing at the age of seventeen. She then went on to study in Bordeaux and graduated with two majors when she was 21. Intending to continue her education in law,Bénédicte applied and was accepted to Columbia University in New York. She chose, however, to attend the University in Geneva, Switzerland where the skiing conditions were much better than in New York. When Bénédicte graduated from Geneva with a degree in International Law (Maritime law or “law of the seas”), she could have begun practicing Law immediately. 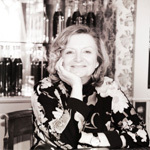 Instead she chose the wine and spirits industry and joined the family business in 1986. But Bénédicte has no regrets. She has been in charge of the U.S. and Canada for A.Hardy & Company. Along with her importer, Hardy USA, she has worked to build the Hardy brand stone by stone. Bénédicte is has a wonderful husband, Ludo and two beautiful children, Pierre and Caroline. She hopes that one day her “little ones” will share her passion for Cognac. Bénédicte skis as much as she can, plays tennis, swims, and runs on a regular basis. She is also an avid reader and wine lover. Stephen Rankin has a passion for Scotch whisky and an in-depth knowledge of the product andindustry, having joinedfamily-owned whisky specialist Gordon & MacPhail in 2000. Stephen is proud to be a fourth-generation member of the Urquhart family that owns the Elgin-based business, embracing the knowledge and expertise in whisky maturation passed down through the generations. Following in his family’s footsteps, Stephen has dedicated his career to building his understanding of single malt Scotch whisky, travelling the world to share his passion for Gordon & MacPhail’s extensive portfolio. Recognised for his contribution to the whisky industry, Stephen is a Keeper of the Quaich – an exclusive and international society that acknowledges those who have shown outstanding commitment to Scotch whisky – and is a Liveryman of the Worshipful Company of Distillers in the City of London. 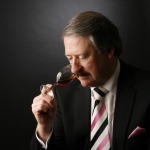 Over almost two decades,he has built his understanding of whisky and the wider wine and spirits industry through a range of advanced qualifications with the globally recognised Wine & Spirit Education Trust. Courses have included specific sensory analysis and technical trainingand he has won several awards as part of this process. It is this wider knowledge of wine and spirits that brings additional value to Stephen’s role within the business. He furtherdeveloped his expertise in a range of sales-focussed roles with previous positions including Director of UK Sales, with responsibility for more than 2,000 customers,strategies and long-term forecasting. Having gained a great understanding of Gordon & MacPhail’s unrivalled liquid library and its customers across the world, Stephen was appointed as the company’sfirst Director of Prestige in October 2017. 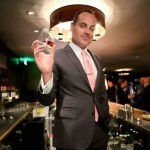 In this role- a position that is pivotal to the ongoing success of the business – Stephen identifies and forges relationships with lovers of the finest whiskies across the globe.He uses his passion and knowledge to introduce discerning whisky drinkers to Gordon & MacPhail’sunique range of single malts in the global luxury consumer market. He focuses on the rare and aged expressions which make up the company’s renowned whisky collection, including the‘Private Collection’ and ‘Generations’ranges of single malts. Stephen manages various relationships whichinvolvetravelling to global conferences and events, delivering exclusive and intimate tastings of personally selected whiskies and directly engaging attendees with the story of single malt Scotchwhisky and Gordon & MacPhail. He also hosts a limited number of events and master classes at high-end whisky shows around the world, including the Nth annual whisky and luxury spirits event in Las Vegas, introducing visitors to Gordon & MacPhail’s vintages from its portfolio and archives. In doing so, he brings to life the company’s skills as leading maturation experts and whisky creators. In addition to conductingprestigious tastings, attending events and working closely with trade customers, Stephen welcomes the most discerning whisky consumers to Elgin to help build their knowledgeand collections ofsingle malts. Stephen hosts guests in Gordon & MacPhail’s historic homewhere they are educated and entertained during their stay in Speyside.